Run with Noah: What to Eat if You are Diabetic-Diets for Diabetes? What to Eat if You are Diabetic-Diets for Diabetes? According to the American Diabetic Association, approximately 26 Million adults and children in the United States of America have diabetes. Unfortunately, my Father was recently added to this statistic. With healthy changes to your lifestyle, you can prevent or delay the onset of type 2 diabetes. Changes to your diet and increasing your level of physical activity that will maintain a healthy weight are important steps to reduce your risk of diabetes. With diabetes, the body cannot produce or properly use insulin, and therefore there is an increase sugar levels in your blood, also known as blood glucose levels. So a simple way to assist in keeping a consistent blood glucose target range is with diet and exercise. If you do not control your blood sugar, then complications with your eyes, feet or skin can occur. Like most people, regardless of being diabetic, we are always trying to figure out what to eat. Sometimes, we don’t eat the best foods because we end up eating what is convenient instead of each what is good. 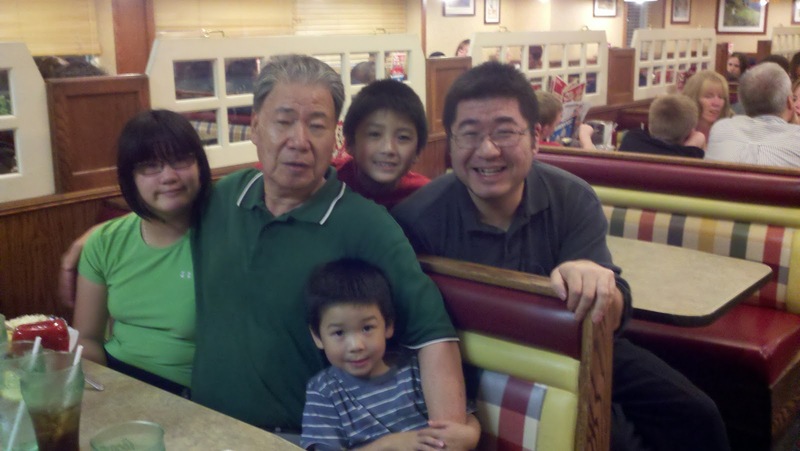 However, diabetics need to be very cautious with their diets, and that mean you, Dad! · Eat smaller meal portions spread throughout the day will help maintain your energy and reduce any fluctuation with blood sugar levels. · Keeping track of the amount of carbohydrates (carbs)-evenly spreading the carbs throughout the day will smooth out any spikes or lulls in blood glucose. · Eat a variety of whole-grains, fresh fruits and vegatables for fiber with a goal of 25 to 35 grams per day. Fiber delays sugar absorbtion, binds with cholesterol which may reduce the bad LDL, prevents constipation, and make you feel fuller. · Eat less fat to lessen your risk for heart disease. Select lean cuts of meat, low fat dairy products, low fat cooking oils. · Use less salt, which can be tough because a lot of our foods contain salt, so one best way to make sure your food has less salt is preparing your meals yourself with fresh ingredients and herbs for better taste without salt. · Limit foods with high sugar content, look for food with a Low Glycemic Index. 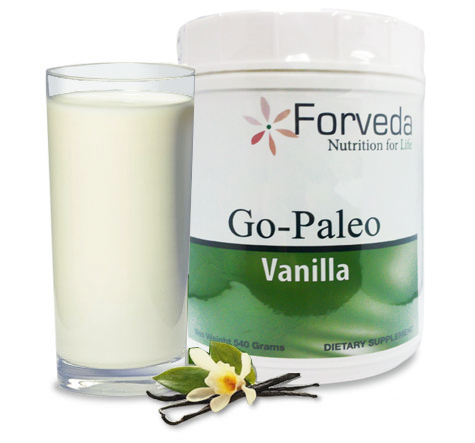 Forveda’s Go-Paleo is a powdered nutrition formula designed to promote peak wellness by optimizing patients' intake of proteins, fats, carbohydrates, and micronutrients. The ingredients make this formula ideal for patients needing support with weight control, GI health, detoxification, immune issues, heavy metals, and muscle gain. Go-Paleo is made with exceptional quality whey protein, which comes from herds that graze on pesticide-free, chemical-free natural grass pastures. These milking cows are never given bovine growth hormone or any other hormones (No rBST or rBGH), genetically modified organisms or injected pathogens. This whey protein is never exposed to high heat temperatures. The result is the highest quality protein supplement, rich in immunoglobulins and lactoferrin. 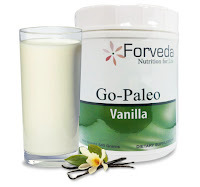 Free of artificial flavors and sweeteners, available in natural vanilla, chocolate, and strawberry. Shakeology is patent-pending certified low glycemic index daily nutritional shake helps your body gently eliminate toxins more efficiently while allowing for better absorption of the essential nutrients you need. A proprietary blend of digestive enzymes and prebiotics helps your body progressively eliminate the toxins that build up over time from eating today's highly processed foods. Even if you searched all over the world, you probably wouldn't be able to find all of the 70-plus, ultra-high-quality ingredients we've included in Shakeology. Not only do you get a wide range of essential nutrients, from the fruits and vegetables you should be eating more of every day, you'll also get the benefits of important foods from all around the world—foods that the latest scientific research has shown to be highly advantageous to your well-being. More than 70 different ingredients were chosen from around the world for their potency and bioavailability (the ability to deliver the nutrients your body needs). Here are the key nutrient groups that these ingredients deliver. Eating well and getting the best nutrients now is essential for living life to the fullest. Don’t wait for a diagnosis like diabetes to make a change that you know will benefit yourself as well as your family. 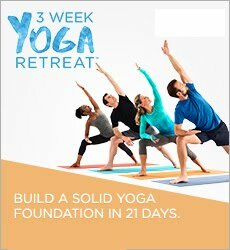 Please visit http://www.runwithnoah.com/ for more info. Do You Really Need Fiber?